A quick little trivia question for you: In the biblical story, how many of each type of animal did Moses bring onto the ark? Did you say two? If you did — well, you’d be wrong, because the answer is zero. The trick in the question, if you haven’t spotted it already, is this: Moses didn’t bring any animals onto the ark. Noah did. And according to a review paper recently published in the journal Current Directions in Psychological Science, it also helps explain why so many of us are so terrible at remembering people’s names. As the APS blog explained, names are essentially just syllable soup, “meaningless labels that usually do not reveal any telling information about the person to whom they refer.” And the disconnect between the sounds and the person they describe mean that our brains are especially vulnerable to any sort of misdirection. The classic Moses example is a semantic illusion, meaning that the names have a similar context, and a phonetic one, meaning the names sound alike; other research has shown that we’re also susceptible to visual illusions, confusing the names of two people who look similar to one another. In one study, for example, researchers asked their volunteers a Moses illusion–type question about Black Swan, the film starring Natalie Portman: “Which movie has _____ playing a ballet dancer who slowly loses her mind?” In the blank space, they either put the name of actress Keira Knightley, who resembles Portman; actress Amy Adams, who doesn’t resemble Portman; or tennis pro Maria Sharapova, who isn’t even in the right field. Those who had Knightley caught the error much less frequently than the other participants, an effect that was even more pronounced when they saw a photo of Portman before answering. “Errors in both name retrieval and comprehension are more likely when the correct name and distractor name sound similar, share biographical characteristics, or have some visual resemblance,” the review authors concluded. 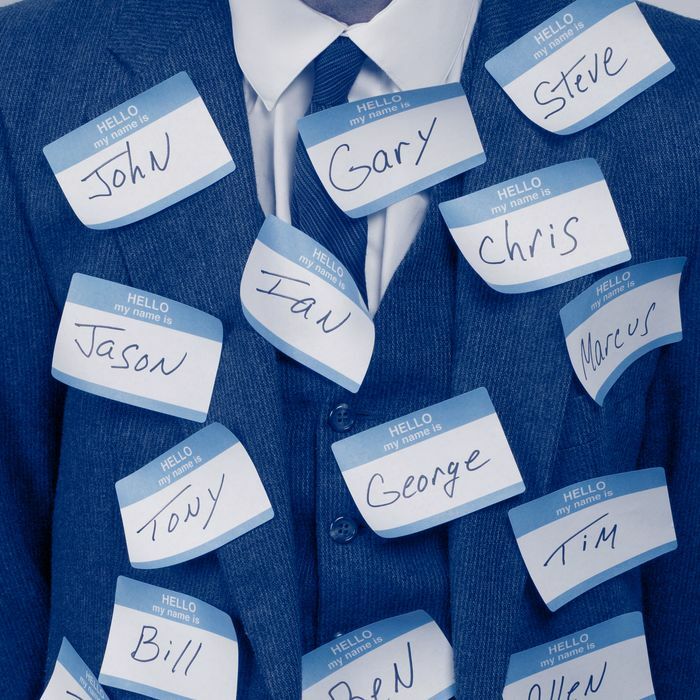 You may mix up names all the time, in other words, but it’s not your fault — the world is just feeding you tricky cues.